Navigation gestures in mobile operating systems aren’t new. This is because mobile operating systems such as webOS, MeeGo, and BlackBerry 10 all had support for gesture navigation in the past. The iPhone X popularized navigation gestures, as the removal of the home button meant that the gestures were the only way to navigate the device. The phone’s gestures have been generally acclaimed by users to be simple and easy to learn. A major advantage of gesture navigation in iOS is that screen estate is saved by not having an onscreen virtual navigation bar. Since then, some Android smartphone vendors such as OnePlus and Xiaomi have incorporated iPhone X-style navigation gestures in OxygenOS and MIUI respectively. 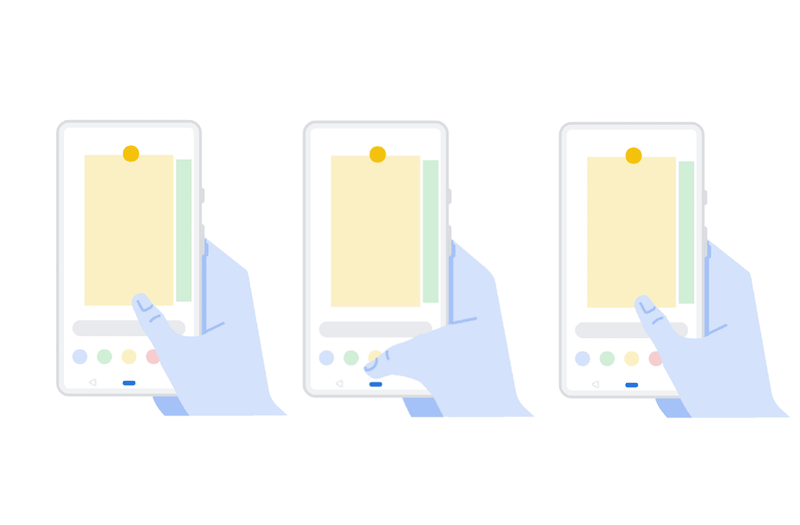 Last month, reports stated that Android P would have native support for navigation gestures. They were officially launched as part of Android P Developer Preview 2. The key difference between Android P’s navigation gestures and the iPhone X’s navigation gestures is that currently, no screen estate is saved by using navigation gestures instead of onscreen buttons. For some users, it seems counterproductive to include navigation gestures and yet not save any screen real estate. The navigation bar is still displayed all the time as of Android P Developer Preview 2. However, it must be noted that navigation gestures are still in progress, and there are still months to go before the stable release of Android P.
More details about the “numerous usability upgrades” weren’t provided, so we will have to wait and see. It is to be hoped that Google improves upon the navigation gestures in such a way that screen estate is saved for content.